Spring Session has started and things are busy for author, speaker, teacher, Pam Houston. Though her moments to give away are likely rare, Pam was gracious in accepting my invitation for an email interview in anticipation of her upcoming appearance at the WordSpring creative writing conference later this month. I became a fan of Pam’s writing when I read her essay “The Morality of Fat” (from A Little More About Me) in Professor Koenig’s Women’s Voices class at Yuba College. If you haven’t read the essay, you should. I found myself in the essay, as well as nearly every woman I know, and probably a number of men would recognize themselves in it, too. I have battled with my weight since I was a young girl, when it was made clear to me that if I was too fat, I would not be acceptable. Throughout my teens, I watched my cousins and the girls around me deal with eating disorders and even had battles of my own. My daughters are teens, and their obsession with whether or not they are fat is alarming. Pam’s essay pulled me in through her witty, taunting questions about what we are doing to ourselves. It spoke to me so much that I left it pinned above my desk for a very long time. I shared it with every woman who came into my home, younger or older– especially my own teen daughters. And, I had to read more of Pam’s work. Jodi Hernandez (JH): Can you recall the first time you were inspired to write? What was it that inspired you? What did you write? Pam Houston (PH): I wish I could recall the first time, but I’m afraid I can’t. I was raised mostly by a wonderful babysitter/fairy godmother figure named Martha Washington, who taught me to read when I was two by paying me nickels and dimes to read road signs and cereal boxes. By the time I went to Nursery School I was reading at a fourth grade level. I imagine sometime in there I started writing too, because I honestly can’t remember a time before writing, before making stories on the page. It goes back the same way eating and sleeping a breathing do for me–just part of what it means to be alive. JH: I recently read the award-winning creative non-fiction essay “Corn Maze” that you wrote for Hunger Mountain.What inspired that story? PH: If you ask it that way, what inspired it, I would have to admit it was inspired by my growing discomfort with readers–and writing teachers for that matter–wanting to draw a hard thin line in the sand between fiction and nonfiction, between novel and memoir, between the real and the invented, as if those categories can be hard and fast. As I say in the essay, I believe this is complicated and dangerous territory and that we as artists need to honor that complication. Language is a slippery thing that won’t stand still and mean, meaning occurs at the junction of code and context, and context is always changing, not to mention the failure of memory, the failure of courage. I tend to believe reality TV has really messed us up on what reality actually is…or maybe even that is putting it too simply. I had written a book, Contents May Have Shifted, that sat squarely between two genres…. It was my story, through and through, and I named the main character Pam, but I had shaped and molded the story into something artful and elegant, I had changed around a few things to protect people I love. In a way this is what I have always done…. And, we have mostly called the work fiction. Which has always been fine with me…and still is. Because the shaping and the molding and the artful creation of a work is far more important to me than saying “this really happened to me,” though I do know that for some people saying “this really happened to me” really matters. I am much more interested in how reality turns into story, I guess, rather than trying to represent anything hard and fast. I wanted to talk about that slippage, and about how hard it is for language to stand in for “what really happened” EVER, even when we really wish it would. JH: How do you stay inspired to write? PH: By going out in the physical world (often the natural world) and really paying attention. All of my work comes from my experience in the physical world…. The real world, you might say, though I intentionally don’t. I move through the world and I wait until something “glimmers” at me, until something says, “Hey writer, over here, pay attention.” It can be a seal’s head popping up in an ocean wave, or the color the bark of the Aspens turn just before they leaf out, or a snippet of conversation overheard at a coffee shop, or a piece of graffiti on an underpass…. Just about anything, but some of those glimmers feel like they have resonance. It feels as though this thing in the outside world is somehow going to help me unlock some story I have to tell. I don’t think too much about the how of that. I just trust that it will happen, and often, when I actually sit down to write and gather all the recent glimmers around me, a story does in fact emerge. JH: What are some of the challenges you find to writing as a profession? PH: I guess the biggest one would be self-doubt, honestly. If you write books, as I do, each book takes a long time—sometimes up to four or five years. That is a long time to ask yourself whether or not it is any good, whether or not anyone will want to read it, whether or not it will come together in the end, if my publisher will like it, if I will be able to pay my mortgage between now and whenever I finish it, have I lost it, and on and on and on. These are the kinds of questions my friend Fenton Johnson calls “The Price of Admission,” and what he means by that is “The Price of Admission to the writer’s clan.” There are just long hours, weeks, months, and years, where you have to be in the dark, wondering, with very little or no feedback, very little idea whether or not this thing you are spending all your time on is going to add up to something or not. I could talk about the challenges of the publishing industry, and the way publishing houses that used to be about art are now about big business, and how Amazon is making life hell for everyone, but in truth, it is really self-doubt that is the toughest thing. JH: What is your favorite genre to read or write? Do you have a favorite project? What is it? PH: My favorite genre to write is the short story, and I think it always will be. My favorite genre to read… that is a toss up between short fiction and poetry. I don’t write poetry. I mean every once in a great while I write a poem, but then I come to my senses and turn it into a first paragraph. But very little fires me up to write like reading great poetry. I have two projects going now, and would not want to choose favorites. One is a collection of short stories about a woman, Maggie, who is a clinical psychologist in a maximum security prison. The other is a memoir of place about the 120 acre ranch in Colorado I have lived on for twenty five years. JH: What are the three things you would tell young or aspiring writers? Trust the metaphor, it knows more than you do. JH: Who are your greatest influences now and in the past? Current writers you are reading? PH: If you want to look at my work and say who influenced that work directly there is one list: Lorrie Moore, Ron Carlson, Louise Erdrich, Ernest Hemmingway, James Joyce, Robert Stone, Debra Eisenberg, William Eastlake, Tim Winton, Mary Gaitskill, Carl Phillips, Nick Flynn, Mark Doty. But many writers inspired me and my writing, writers that my style does not necessarily resemble: Toni Morrison, William Faulkner, Alice Munroe, Joan Didion, to name a few. Writers I am reading lately and am particularly jazzed about? Rebecca Makkai, Robert Boswell, Andre Dubus, Eduardo Corral, Claire Vaye Watkins. JH: Can you give me an idea what I can expect to see from you and the WordSpring Workshop? PH: We will be talking about facing the blank page and jumping in fast, about–as I talked about above–turning the concrete physical world into story. Everyone who comes will have a chance to do the glimmer exercise. I want to thank Pam for her thoughtful and incredibly written answers to my questions. It was truly an honor to be able to have her sit down to the writing process to answer my questions. 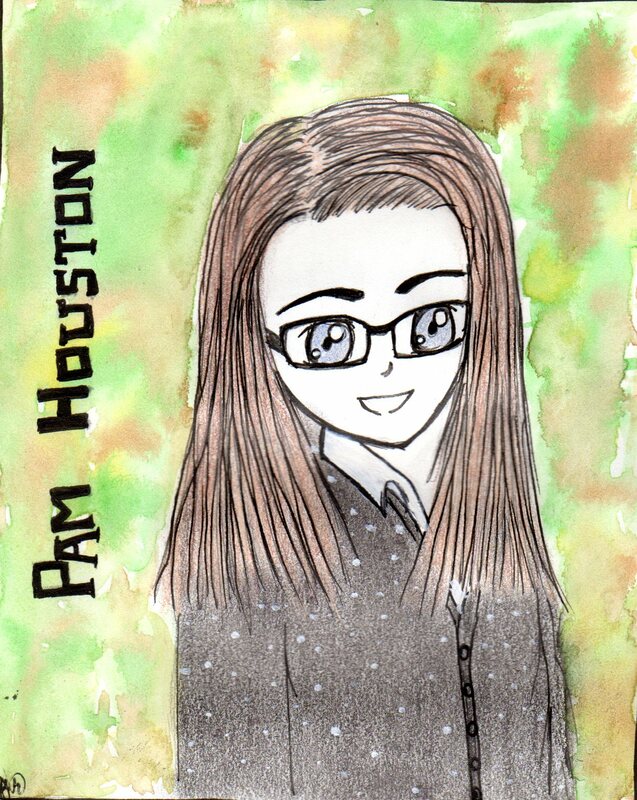 Please check out her website pamhouston.wordpress.com to learn more about her work. Pam Houston will be giving a reading at the 1078 Gallery, in Chico, CA Friday, April 24th. Her “glimmer exercise” will be presented at WordSpring 2015, a one-day creative writing conference hosted by Butte College, Saturday, April 25th. Visit buttewordspring.org to learn more about the conference and to register. Also, stayed tuned for more leHab interviews with WordSpring 2015 presenters!